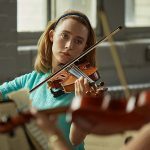 Joyce Glasser reviews Apostasy (July 27, 2018) Cert. PG, 95 min. The adaptation of Ian McEwan’s 2014 novel The Children Act , about a young Jehovah’s Witness struggling with his faith after a court-ordered blood transfusion, is out later this summer. 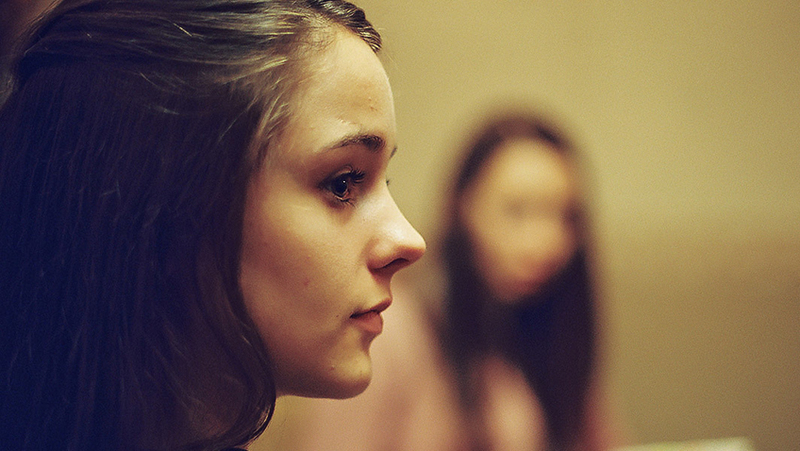 Until then Manchester born Daniel Kokotajlo’s absorbing debut feature, Apostasy will more than tide you over with its powerful intensity. Alex (Molly Wright) has just turned 18 and no court can tell her what is right. A devoted member of the Manchester branch of the Jehovah’s Witnesses, she regularly accompanies her fervent mother Ivanna (Siobhan Finneran) to pray at an unprepossessing Kingdom Hall at the edge of a motorway. In contrast to the white noise of cars taking off in all directions, Alex is living a static existence, devoting her life to the promise of a future paradise. In addition to praying and listening to the repetitive preaching from the Elders, Alex peddles the brand with her sister Luisa (Sacha Parkinson) along the unreceptive city streets. Despite her devotion, Alex is consumed with guilt for an act that she was helpless to prevent, but stains her like original sin. It emerges that Alex was born with chronic anaemia and was automatically given a forbidden blood transfusion in hospital. This is almost the equivalent of eating the forbidden apple only allowances were made for her lack of choice and her subsequent commitment to the Church doctrines. Now, the doctors are recommending another transfusion or Alex may die. Alex was too young to choose the church 18 years ago, but now she chooses the promise of reunion with her family in heaven over the anathema of a life-saving blood transfusion. The two are mutually exclusive as blood is sacred and unique, and foreign blood is impure. Ivanna is proud of Alex, but torn when the Elders prohibit her from communicating with Luisa who breaks with the Church following Alex’s decision. The worldlier Luisa has been drifting away from the Church even before her anger at her sister’s dilemma. She rebels openly, and emphatically, by taking art classes and dating a Muslim by whom she eventually becomes pregnant. Luisa realises she has to leave home, even if this means living in a depressing, cramped flat. 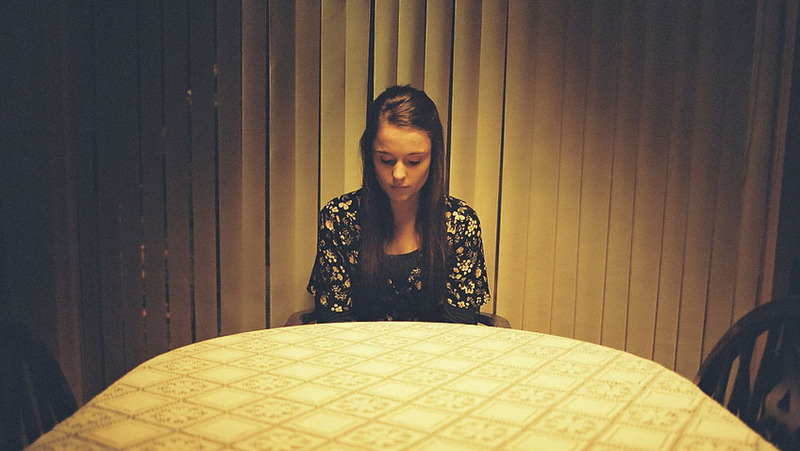 Ivanna is naturally deeply troubled at this split which is duly noted by the prying Elders. So when Steven (Robert Emms), the young, rising star of the Manchester Church, pursues Alex, Ivanna is relieved, as are the Elders. Alex is doing everything right, and even welcomes Steven’s mechanical advances. Steven’s early conversation is stilted and repressed, if friendly and encouraging, but he turns out to be a little control freak, a premature Elder whose dogmatic mindset and entire future are mapped out for us in his brutish dealings with Luisa. An ex-Witness or lapsed Witness is ostracized and shunned by family and friends who remain in the religion, a practice similar to Scientology. When Luisa breaks off from attempts at rehabilitation after a split with her boyfriend, Ivanna’s anguish is palpable. She longs to care for her increasingly weak pregnant daughter and for her grandchild, but is forced to make a choice between her faith in some future kingdom of heaven or her daughter’s well-being in the here and now. 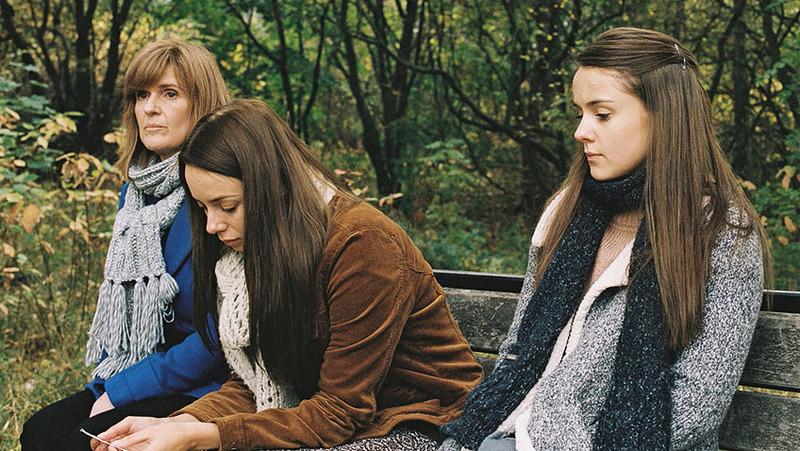 More than a film about the daughters, Apostasy is actually about their mother, whose faith is tested to breaking point. This would not work if all three performances were not equally balanced and pitch perfect, a tribute to the casting directors if not to Kokotajlo for relatively fresh (and primarily TV) faces into these demanding roles. 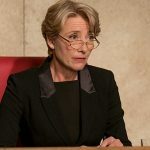 It is as if he wants to challenge the audience with Ivanna’s moral dilemma or at least, to provide us with the substance of a debate over a strong drink after the film. Kokotailo and cinematographer Adam Scarth (Daphne) envelop the audience in an oppressive claustrophobia, helped by their use of the Academy Ratio, the same aspect ratio that Gus Van Sant used to inject extra disorientation and tension in his re-enactment of the Columbine shooting in Elephant; and that Kelly Reichardt used in Meek’s Cutoff, to contrast the limited vision of the pioneers with the endless landscapes of the high desert of the Oregon Trail. Kokotajlo holds the camera close to the faces of his three female protagonists and never lets go until he has shaken the truth out of them, or tried. The limited, sickly colour palette seems to blend with the rainy, cold weather that dominates the external scenes. The Elders might come across as cold, rigid and out-of-touch, but there is a passion and physicality in all of the performances that compel us to clinch our fists. By the time we arrive, shaken and stirred, at the end credits, the caption that the film is ‘Not endorsed by the Governing Body of Jehovah’s Witnesses,” seems like a belated touch of humour. The sceptical British art house audience might seem an easy target for this harsh portrait of an unbending Church, but Kokotajlo was brought up a Jehovah’s Witness and creates a world too authentic to be written off as lunacy. The characters’ religious devotion is dramatised in a respectful manner and the portrayal of a community that dances to rock music, drinks alcohol and enjoys being pampered at the beauty salon confounds our stereotypes of repressed fanatics.